The Curse of Khaine is the latest novel in the End Times series, this time brought to us by Gav Thorpe. I think this is my favorite book in the series so far, despite my aversion to all things pointy eared. 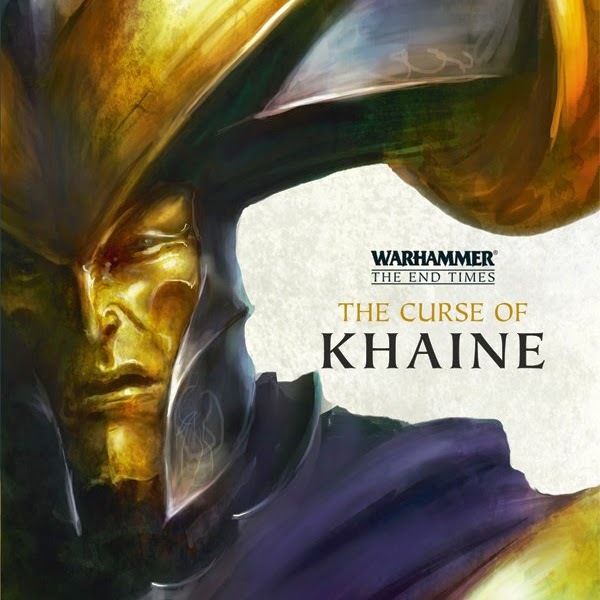 The Curse of Khaine is unique in the fact that the story is entirely from the viewpoint of Malekith. This suits it well, allowing us to see the entire events of the Khaine story arc without anything feeling condensed or glossed over. We only see the events that Malekith was present for, which is most of them. It avoids some of the sprawl that The Fall of Altdorf suffered from and the incompleteness that The Return of Nagash had. To be fair though, the Nagash story was much longer then the other two and would have had to have been probably two or three books to cover the whole affair. The plot line pretty much mirrors what already happened in the Khaine book. We start on Nagarroth with Malekith having to face down the Chaos horde invading his adopted land. While we don't see very much in the way of Dark Elf vs Chaos action, we do get to see a little more of the inner working of the Dark Elf race. This whole book is much more character driven as opposed to relying on large battles, although we have those as well. I prefer books like this, and it gives us more chances to see how the Witch King views and interacts with the world. One of my favorite relationships is his and Kouran's, his bodyguard and the only person he allows to carry a weapon in his presence. 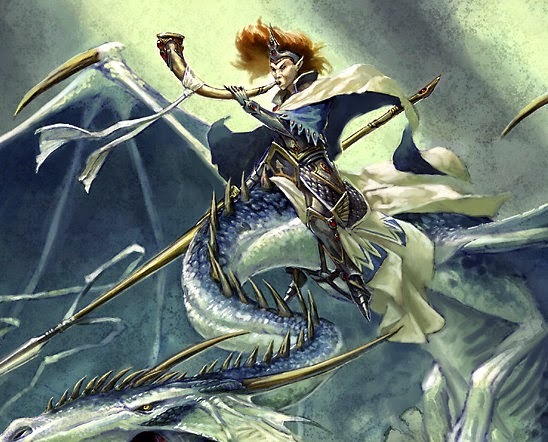 The action on Naggaroth ends with him marching on Ghrond to confront his mother, Morathi, and make her account for her lack of warning about the invasion. Man, what a twisted relationship. Almost every chapter also contains a flash back to some point in Malekith's past as well. These don't go in chronological order, but always adds a new layer of understanding to what's going on in the present. It really is a great little mechanic, not only does it give you more insight into his past (I haven't read the Sundering trilogy), but it also fleshes out the main story more. One of my favorite bits is when he is recalling a time as a child when he would sit next to his father Aenarion in the throne room. It's just weird seeing someone who is typically as evil as the Witch King as a child. Not only that, but a child who is loved by his father, loves his father, and who was promised the throne. It instantly made him a more real person for me. It's a bit of humanization you don't often see in Warhammer. Once the action shifts to Ulthuan the first action we see is the battle for Eagle Gate. The battle itself is well written and entertaining, but one of my favorite parts is in the aftermath with Malus Darkblade. It's just a small moment, and clearly meant to tie into the Darkblade book that's coming out in a month or so, but it was highly entertaining. Without giving too much away, I'll just say that Malus is very confused throughout the whole process. This battle also introduces us to Teclis and Imrik, the High Elf side of the story. Imrik is a rather interesting character. He is honorable and committed to the path he chose of supporting Malekith, but also very clearly torn about betraying his people. This also forces the Witch King to be more diplomatic then normal. His usual position of killing anyone who disagrees with him won't work here. Instead he must be careful with Imrik, keeping him separated from the druchii and making sure to not give him assignments that would test his loyalty too much. Teclis on the other hand, always seems a bit underhanded and tired by the whole affair. You are never sure what angle he is really playing, and clearly doesn't care about Malekith as a person at all. It was hard for me to sympathize with the mage until the climatic scene of the book. I don't want to give too much away for anyone who hasn't read the Khaine book, but the plot really does follow it very closely. Some of the best parts are Malekith's duels with Tyrion and the fear he feels towards the Elven prince. They had the risk of being stale and by the numbers, but I really liked them. One of the biggest changes from the Khaine story isn't really a change at all. At one point Malekith is incapacitated for a lengthy period of time and must stay in Caledor while the war wages on without him. This means a lot of the battles from the End Times book in the latter half of the war are only mentioned in passing. It may seem like a detriment at first, but it really gives us an interesting look at Malekith's frustration of being sidelined and his struggle with learning how to be a king to not just the druchii, but the High and Wood Elves as well. He's still the same old Malekith with a short temper, but he knows he must be more even handed with his rule and look out for the best interest of the entire race. This means preserving as many lives as he can, a pretty drastic change for a Dark Elf. Overall I really liked this novel. It has made me invested in Malekith as a character and actually care about the Elves. 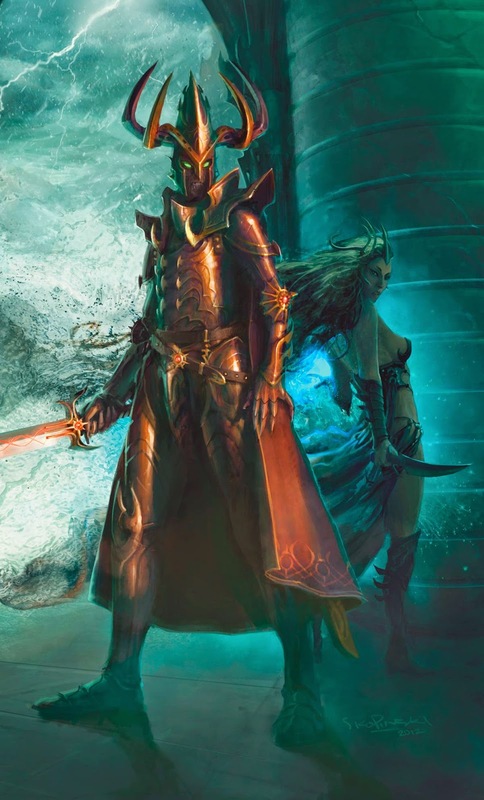 I'm not going to lie, they are not one of my favorite Fantasy factions, but after this book and Khaine I am really interested in seeing where they go. There is one small inconsistency with the End Times book, and that is Kouran Darkhand. His fate differs from what we read in the main Khaine book, but it's not too distracting as he doesn't feature much in the second half of the novel and is only mentioned in passing once or twice. While the hardcover is no longer available, you can still get the e-book version and a soft cover version will be coming out on April 7th. The First Mengel Miniatures Painting Competition!